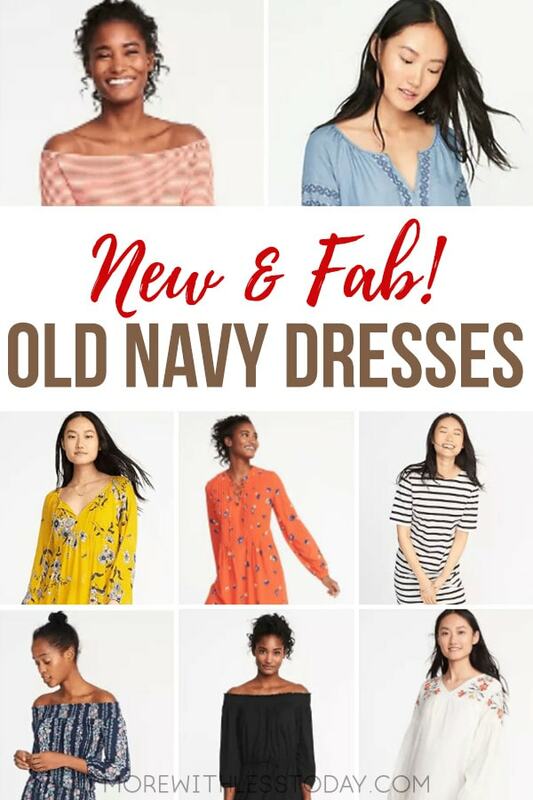 Old Navy Affordable Casual Dresses – So Pretty for Spring! Who doesn’t love Old Navy clothing? Comfy, casual, stylish and fun – they have the goods. Here are my favorite Old Navy Affordable Casual Dresses. I think you are going to love them too. If you are looking for that perfect dress to thrown on and look put together, Old Navy has so many great dresses right now. We have affiliate relationships which means we may earn a small referral commission at no additional cost to you if you shop through our links. This dress just says comfortable and cool! The material is soft, flowing and with cute embroidery details. Perfect for Spring. This black and white striped dress could be accessorized with bright colored shoes or accessories to if you wanted to dress it up a bit. Wearing dresses with tennis shoes is a popular look this year and this dress is perfect if you like that too. You are going to feel bright and pretty in this Boho swing dress. I like the airy, flowing fabric. There are several pretty colors to choose from, which one is your favorite? Your choice of floral or black in this off the shoulder dress. The black one gets my vote because it can be dressed up or down. This adorable dress comes in 5 different colors and the fit and flare style is very flattering. Add some fun accessories and you have a great lunch date outfit. Light and elegant are perfect words to describe this dress. It also comes in black. Which of these Old Navy Affordable Casual Dresses are your favorites?